WhatsApp? NOT YOU, MATEY. 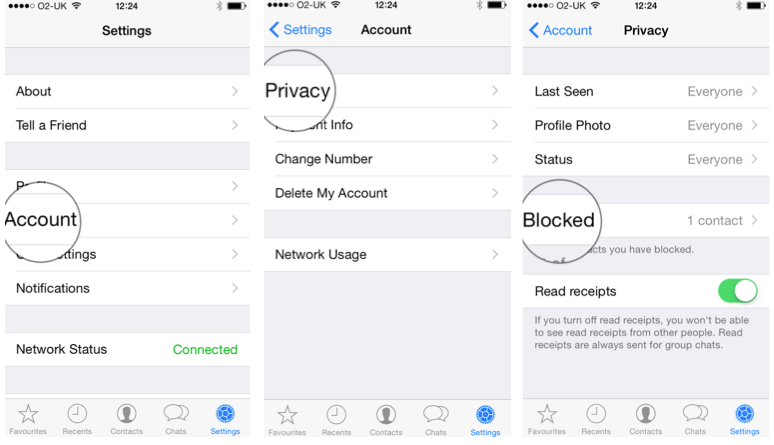 Here’s how to block someone on WhatsApp using an iPhone, Android, Blackberry, Nokia or Windows Phone. WhatsApp can be wonderful – quick, user friendly and an easy cross-platform, nondenominational way of keeping in touch without paying for texts. But it can also be a massive pain, and not just because there’s no apostrophe in the name when there really ought to be. If you’re being badgered, harangued or harassed on WhatsApp, or just relentlessly included in group messages that are entirely pictures of babies and motivational e-cards, here’s how to block the person responsible. Boom. 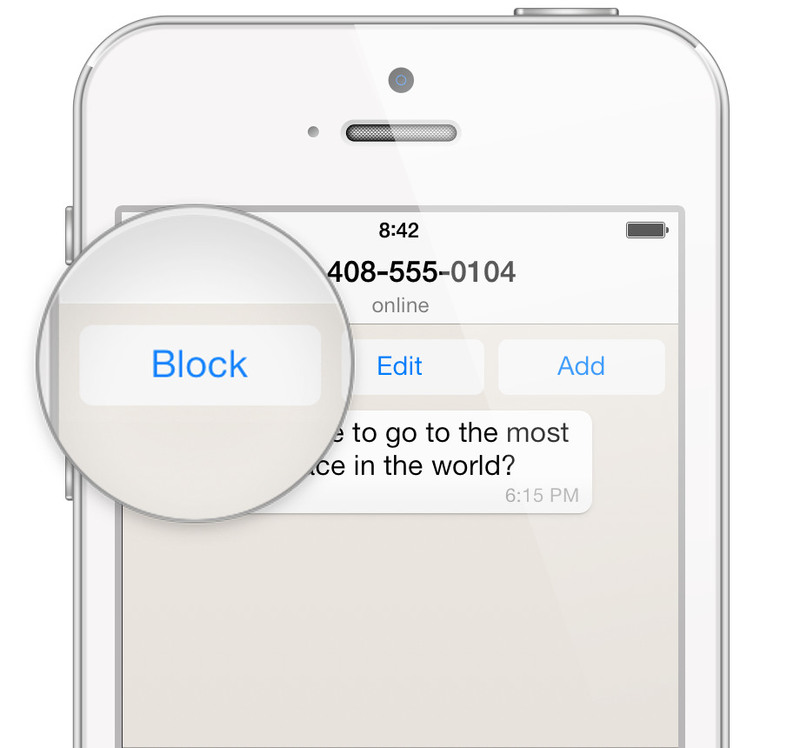 Here you’ll have the option to ‘Add new…’, and select which of your contacts you want to block. Or if you’re being hassled by somebody who isn’t in your address book, go to the chat conversation and click ‘Block‘ at the top of the window. Select ‘Add blocked contacts‘ to select the culprit from your contacts list. And if they’re not a contact, as above, go to the chat conversation instead and select ‘Block‘ at the top of the window. On Blackberry: Go to Settings > Account > Privacy Settings > Blocked Contacts and select ‘Block new contact‘, or for unknowns go to the chat window and select the Blackberry icon, then Block. On Nokia: Go to Options > Settings > Account (or General) > Privacy > Blocked Contacts and select ‘Add Contact‘, or for unknowns go to the chat window and select Options > Block. On Windows Phone: Go to […] > Settings > Contacts > Blocked contacts and tap + to select a contact to block, or for unknowns go to the chat window, tap the […] in the bottom right hand corner and select ‘Block’. They can still send you messages, but you’ll never receive them. They’ll see one tick (sent) by their message, but never two (delivered). You can’t send them messages either. Unless you unblock them first. See your profile picture updates. See when you’re online, or when you were last online. Still see you in their contacts list, because you’ll still be saved on their phone. 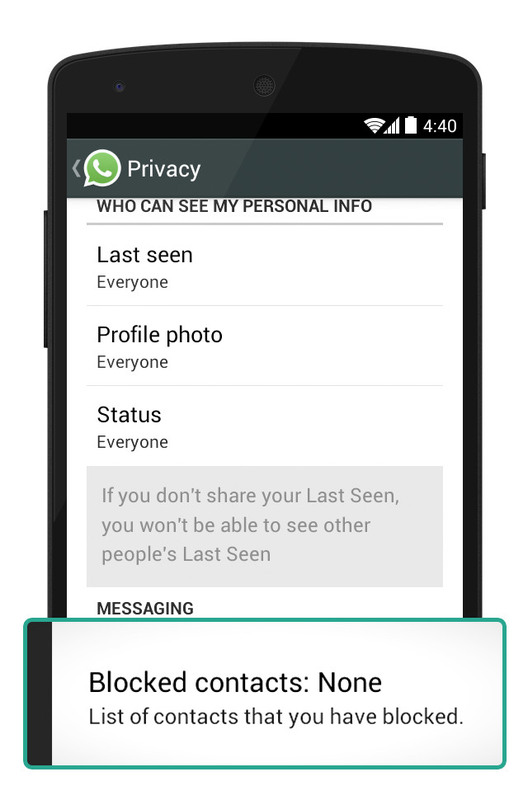 Likewise you’ll still be able to see their name in WhatsApp, unless you delete them from your phone’s address book altogether.